The real tragedy isn't Trump's presidency, but those taking advantage of his mental illness for personal gain. Call him “Patient 1”: An individual in Washington, D.C., who presents with symptoms of mental decline, including a bizarre inability to remember where his own father was born. Bandy Lee, a psychiatrist on the faculty at the Yale School of Medicine, has some insights to share, which we will get to in a moment. Trump’s father, Frederick, was born in 1905 in the Bronx, approximately 4,000 miles from Germany, as the accompanying map shows. 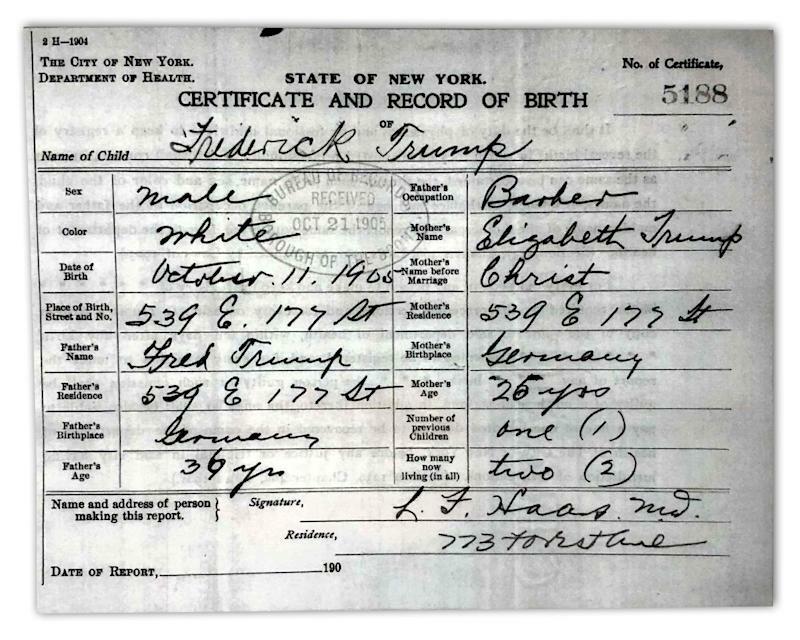 Trump’s grandfather was born in Germany, but was living in the United States with his wife when Frederick was born. Of all Trump’s many misstatements, exaggerations, empty boasts and slips of the tongue, this one — which Trump has made at least twice before — stands out for its sheer inexplicability. Ordinarily, when Trump says something ridiculous, it’s for an obvious purpose. He has been on an unhinged rant recently about windmills, whose function in the electrical grid he misunderstands and whose sound he says causes cancer. That is an assertion for which the White House was unable to provide any support, because he unquestionably made it up. But at least it’s consistent with his general disdain for environmentalism, and explainable by his self-interest in fighting to stop an offshore wind farm that he believes will ruin the views from one of his golf resorts in Scotland. And it is, strictly speaking, unfalsifiable; the carcinogenic effect of windmill noise, like a lot of other nonsensical beliefs, hasn’t been scientifically studied, so all you can say is that there’s no evidence for it. But there’s a New York birth certificate that contradicts Trump’s claim about his father, and no obvious advantage for him to make up a story about it. To the contrary, Trump early in his career disguised his German ancestry, claiming his family was actually from Sweden, a lie that apparently was intended to make it easier to do business in a city with the largest Jewish population in the world. And in his first memoir, “The Art of the Deal,” he wrote that his father’s “classic Horatio Alger” story began with his birth “in New Jersey in 1905.” The Bronx is only just across the Hudson River from New Jersey, but it is in a whole different state. 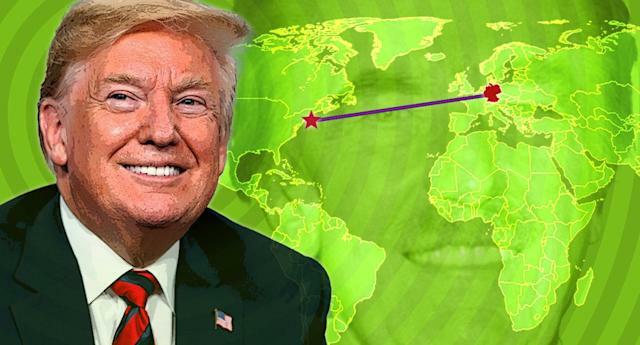 “We are talking about the profound danger of the mentally unstable individual who holds the highest office in this country, and most powerful single office in the entire world,” said one of the speakers, Jeffrey Sachs, a Columbia University economist. “He is rapidly declining,” Lee, the group’s president, said of Trump in an interview. “His rallies have been increasingly less coherent, with greater signs of paranoid responses, increasing attraction to violence, increasing espousal of conspiracy theories. A few weeks ago, there was the ‘Tim Apple’ episode, and the other day he referred to Venezuela as a company, while recently he confused his father’s birthplace with his grandfather’s. “His mistakes are growing more and more bizarre,” Lee said. “If we match the pattern of his deterioration against pathology, what disease states look like, we can say he is not well. Shortly after Trump took office, Lee edited a book called “The Dangerous Case of Donald Trump,” a collection of essays by mental health professionals, which recently appeared in a second edition. “What we said then was that he was worse than he appeared in public and would grow more dangerous over time. That his mental pathology would spread into his administration and the population.” She referenced a phenomenon called “shared psychosis,” in which delusions spread from one family member to his or her relatives. Lee said her organization was “in the process of forming an expert panel that can test fitness for duty” by presidential candidates, pointing out that military officers in control of nuclear weapons undergo regular psychological evaluations. The exam she has in mind tests for such things as the ability to consider the consequences of decisions, to follow a logical train of thought, and to understand and explain back a story or scenario. I think that would be a good thing to do for Trump, and for any of his would-be successors. - mistakes when pronouncing common words (recently using "oranges" multiple times instead of the word "origin," being unable to pronounce "subpoena" and "anonymous;" and slurring words like "States"
- now not remembering where his father was born. His family, close associates and political allies have probably seen even more examples, but are covering for him. Shameful that they are using him for political power and financial gain as his condition is clearly getting worse and more public.